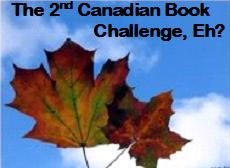 I have officially finished the 2nd Canadian Book Challenge. Things got a lot easier when I threw my list out the window and just counted up Canadian authors I’d read. I’m going to keep submitting books until the end of the challenge, but I’m officially a Nunavutian (13 books, 13th province/territory to join the country).